We make it easy to sell your home yourself. With Billings By Owner, you’re in control and you save the commission. No more driving around to locate that perfect home. With Billings By Owner you can quickly explore properties. Looking for just the right property? You know that timing is everything, so don’t miss-out on new listings. Sign-up for our new listing email notifications and be the first to know! We highly recommend Billings by Owner! 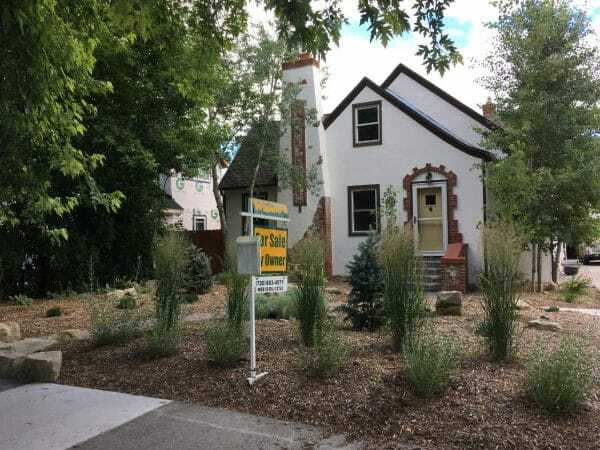 We listed our out-of-town home with Billings by Owner, including having it published on the MLS, and began working with Erica Okragly in June 2017. We had an offer in September. Erica helped us with our negotiations and with completing all of the necessary paperwork. When our first sale fell through, she extended our contract and we had another offer after a few weeks. During the process of negotiating the offer and inspection results, Erica gave us good advice, called even when she was out of town for several days and helped everyone keep their cool during what ended up being a very stressful sale. In the end everything worked out, and we were very grateful for her help. Erica was very customer focused, understanding, responsive and committed to us even though her commission was far less than what the buyer’s agent was making. The only sad thing about closing on our house was not getting to work with Erica anymore! Erica Okragly at Firehouse Realty is a pleasure to work.. Chapel Custom Homes has had the opportunity to work with her twice in the past year when selling our Spec houses. She is pleasant and professional. She is timely in her responses to my many questions which takes the stress out of the selling process. I highly recommend her services through Billings By Owner and look forward to working with her in the future. The Billings By Owner experience was painless. They do an outstanding job helping us sell our unique property we had. Cannot say enough about Erica Okragly, she assisted us through all the fine details it takes to sell property. You will be very satisfied working with this great company and people. Selling a home in today's world is cumbersome and stressful. I have learned over the years that I as the listing homeowner, I do a lot of the work to sell the home and then pay a listing/purchasing agent fee of up to 6% regardless of the market value of the home. 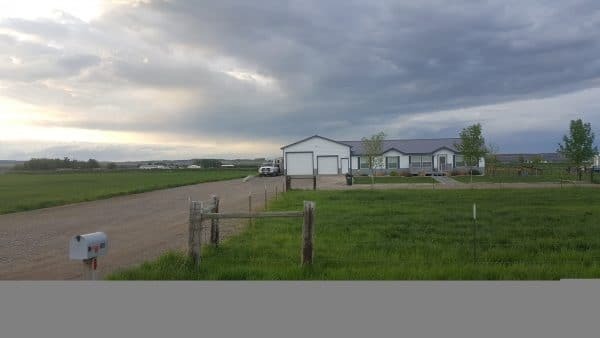 In using Billings By Owner, I was able to accomplish a couple of things important to me; 1: List my home on the Multiple Listing Service (MLS) for exposure and 2: save a tremendous amount of money in fees. Working with Erica Okragly was seamless as she provided the transaction advice needed at that time of negotiation and closing with the buyer. We did the rest of the work as we normally would have using the traditional method of contracting with a "full service" realtor. Listing the home myself also allowed me to have the face to face dialog with the buyer, this is a big advantage in time and guess work. I highly recommend considering the services of Billings By Owner. Selling a home in today's world is cumbersome and stressful. I have learned over the years that I as the listing homeowner, I do a lot of the work to sell the home and then pay a listing/purchasing agent fee of up to 6% regardless of the market value of the home. 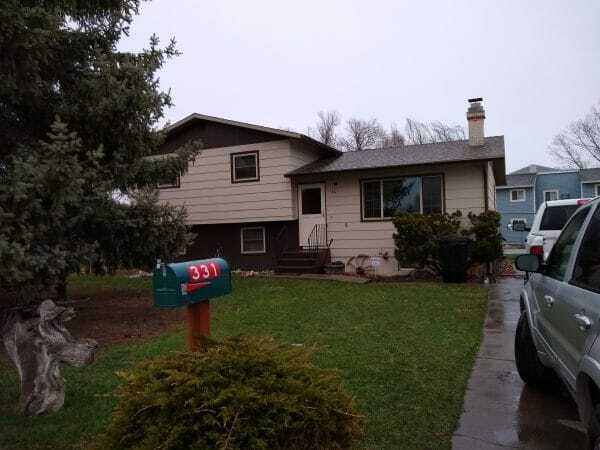 In using Billings By Owner, I was able to accomplish a couple of things important to me; 1: List my home on the Multiple Listing Service (MLS) for exposure and 2: save a tremendous amount of money in fees. Working with Erica Okragly was seamless as she provided the transaction advice needed at that time of negotiation and closing with the buyer. We did the rest of the work as we normally would have using the traditional method of contracting with a "full service" realtor. Listing the home myself also allowed me to have the face to face dialog with the buyer, this is a big advantage in time and guess work. I highly recommend considering the services of Billings By Owner. We were super impressed with our experience with Billings By Owner. Our house sold within two weeks of being listed. Erica was also great to work with. She was very informative and always able to answer all of our questions! We are grateful for the quick and easy sale of our home especially with the low fees. Thank you Billings By Owner! 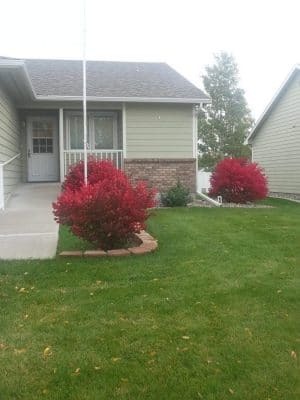 I am very thankful that my wife picked Billings By Owner to help us sell our home. They are substantially less money than what the buyer's Realtor was and Erica picked up the ball where the purchasing agent continually dropped it! If it wasn’t for Erica's hard work and diligence, I'm sure the sale would have fallen apart. She is very skilled at her job and well worth every penny spent! My wife April and I would highly recommend Billings by Owner to anyone looking to sell their home or property. Our home sold in about three weeks after listing it with Billings by Owner. We had spent a lot of money and sweat on our home over the years of owning it so we needed to get top dollar for it. The crew at Billings by Owner were great to work with and took the worries out of the whole process and wow ! what a savings ! Thanks Billings by Owner. I really enjoyed my Sale By Owner experience. Even though we were selling it on our own, we had an experienced real estate agent answered our questions and helped out with the paperwork. Erica, our Billings By Owner agent was great to work with. She helped me close on my home while camping with her family over Memorial Day weekend. I highly recommend selling your home this way. When my folks decided it was time to downsize houses, we put a for sale sign in the front yard and waited...After a couple of months we chose to list it on "BillingsbyOwner.com" We immediately saw an increase in foot traffic to view their home and within a week, my folks had accepted an offer! Erica from Billings By Owner was great to work with, she was knowledgeable, and very efficient. We highly recommend both her and Billings By Owner when you need to sell your home. Teaming up with Billings by Owner was the best decision I made when selling my house. I was fortunate enough to have received a full price offer within a week of listing and saved around $13,000 not working with realtors. If you're on the fence about giving it a shot, go for it. The customer service is top-notch, the price is right, and the savings are spectacular. We just had our first experience selling our home without a Realtor. We were more than happy with the service BillingsByOwner.com provides. We were pleased with the prominent size of the signs, and that they were put up promptly. We like the fact that enough advertising is being done that people in Billings know about Billings By Owner and check the website. We liked the ease of posting the listing and pictures, making changes, and adding open houses at any time. Mostly we like the fact that our house was viewed online 1,000 times and that Matt provides this service at a very fair price! We closed on our home three months after the For Sale sign went up! We just had our first experience selling our home without a Realtor. We were more than happy with the service BillingsByOwner.com provides. We were pleased with the prominent size of the signs, and that they were put up promptly. We like the fact that enough advertising is being done that people in Billings know about Billings By Owner and check the website. We liked the ease of posting the listing and pictures, making changes, and adding open houses at any time. Mostly we like the fact that our house was viewed online 1,000 times and that Matt provides this service at a very fair price! We closed on our home three months after the For Sale sign went up! Thanks for the opportunity to utilize the services offered by your company. I had previously advertized in the newspaper, and listed on MLS through your service. I have to tell you that I received more referrals from your service than any other venue. The people who responded to your internet site seemed to have researched the properties thoroughly before they called. I had almost instant response to my ad on your site. My home has sold in a very difficult market, when many high end homes are not selling! The website is very comprehensive. And easy to use. Thank you for a great service that the Billings community needs!! Thank you for your affordable service, it made it possible to sell our house quickly and relocate out of state. We had instant response to our ad on your internet site and the professional yard signs that were provided. We have sold 2 homes by owner, I would urge sellers or buyers not to be afraid to sell or buy on your own, it is easy and BillingsByOwner.com is very efficient. Be patient and keep your $money$ in your pocket and use BillingsByOwner.com. Due to a job change we faced an unplanned need to sell our home and move back to the Denver area. Since we had only been in Montana for a couple years we didn’t have a large amount of equity and simply couldn’t afford to pay the standard 6% to a realtor to sell our home. We researched our options and were led to BillingsByOwner.com. All the tools were there for our use for a very low initial fee. We opted to also have the BillingsByOwner team do all our paperwork for a very modest 1% fee. We sold our home in 3 weeks and were able to retain enough of our equity to purchase another home in Denver. They were very responsive to our needs, very professional, and did a great job. I highly recommend them to anyone who wishes to sell their home. Due to a job change we faced an unplanned need to sell our home and move back to the Denver area. 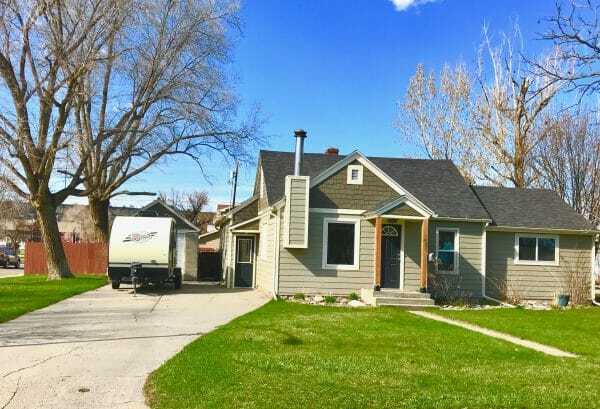 Since we had only been in Montana for a couple years we didn’t have a large amount of equity and simply couldn’t afford to pay the standard 6% to a realtor to sell our home. We researched our options and were led to BillingsByOwner.com. All the tools were there for our use for a very low initial fee. We opted to also have the BillingsByOwner team do all our paperwork for a very modest 1% fee. We sold our home in 3 weeks and were able to retain enough of our equity to purchase another home in Denver. They were very responsive to our needs, very professional, and did a great job. I highly recommend them to anyone who wishes to sell their home. Thanks Matt! WOW! I am blown away by this service ... I first went thru a couple of Realtors who were pushing my asking price waaay down ... so, I decided to try this service as a total newbie - never selling a home on my own before ... within DAYS of having the SIGN UP on the lawn and the HOME on the site, my phone started ringing ... dozens of interested people were calling. Literally within 2 weeks I had a qualified buyer who gave me my FULL ASKING PRICE! This service made it automatic! My home was on the market, quality people were looking at it, and it was SOLD within 2 weeks ~ LIKE I SAID, "WOW!" We just wanted to thank Matt for all his help with selling our house. Billingsbyowner is much cheaper than using a Realtor and just as effective. The people of Billings know to look there. The web site is very user friendly and makes your house very visible to people interested in buying. Matt is very easy to talk with and very good at answering all of our questions. I would not hesitate to use www.billingsbyowner.com again. We sold our house is under a week. It was amazing!!!!! We just wanted to thank Matt for all his help with selling our house. Billingsbyowner is much cheaper than using a Realtor and just as effective. The people of Billings know to look there. The web site is very user friendly and makes your house very visible to people interested in buying. Matt is very easy to talk with and very good at answering all of our questions. I would not hesitate to use www.billingsbyowner.com again. We sold our house is under a week. It was amazing!!!!! Billings For Sale by Owner was a breeze to use. We set up our account online and they were there with a For Sale sign right away. We had a buy/sell agreement in 3 weeks and closed shortly there after. It was truly a very easy process with their help. I would recommend their service to everyone. We saved so much money. And who doesn't want to do that! Matt's website is very easy to use for setting up a property listing. I was amazed at the number of views we received in the first few hours our listing was posted. All inquiries to our listing were legit, and we had very few additional questions on our listing. Would I use this service again? You bet! Thanks Matt for the help in selling our home. ‘Thank you’ can barely cover my gratitude to BillingsByOwner.com. I placed my home on the website February 2010 and my house sold/closed in August 2010. Many of my perspective buyers found my home online and called for a showing. The new owners found the BillingsByOwner.com sign in my yard and called to take a walk through. The tools that you provide are state of the art: yard signs, accessible/user friendly website, and one call customer service are impressive. The fee for this type of service would be tough for anyone else to beat. ‘Thank you’ can barely cover my gratitude to BillingsByOwner.com. I placed my home on the website February 2010 and my house sold/closed in August 2010. Many of my perspective buyers found my home online and called for a showing. The new owners found the BillingsByOwner.com sign in my yard and called to take a walk through. The tools that you provide are state of the art: yard signs, accessible/user friendly website, and one call customer service are impressive. The fee for this type of service would be tough for anyone else to beat. Thank you for such a great experience. We had a wonderful experience with BillingsByOwner.com. The service was excellent and they provided us with great information and all the tools to get our property sold fast. We listed our house on a Sunday and sold it just 2 days later. We had several offers and a ton of interest. For us, using Billings By Owner instead of a realtor was the difference between getting the house we really wanted or not. It saved us over $14,000 in realtor fees. The community is becoming VERY familiar with Matt's business and people feel secure purchasing with Billings By Owner instead of just doing a regular "for sale by owner". Matt does a lot of marketing the site so it gets a large amount of traffic. Thank you for the great website and we will definitely use it when we upgrade again. Thanks for the opportunity to utilize the services offered by your company. I had previously advertized in the newspaper, and listed on MLS through your service. I have to tell you that I received more referrals from your service than any other venue. The people who responded to your internet site seemed to have researched the properties thoroughly before they called. I had almost instant response to my ad on your site. My home has sold in a very difficult market, when many high end homes are not selling! The website is very comprehensive. And easy to use. Thank you for a great service that the Billings community needs! ! Thanks for the opportunity to utilize the services offered by your company. I had previously advertized in the newspaper, and listed on MLS through your service. I have to tell you that I received more referrals from your service than any other venue. The people who responded to your internet site seemed to have researched the properties thoroughly before they called. I had almost instant response to my ad on your site. My home has sold in a very difficult market, when many high end homes are not selling! The website is very comprehensive. And easy to use. Thank you for a great service that the Billings community needs! ! We decided to use Billings By Owner because our home was in the more expensive price range and, with realtor fees, would have been out of reach of most buyers. We could not be more pleased with this service. Not only did we sell within 6 weeks to a qualified buyer, we also had two other offers and one possible offer. We used no other advertising; the professional yard sign did it all. Thanks so much for offering this service. 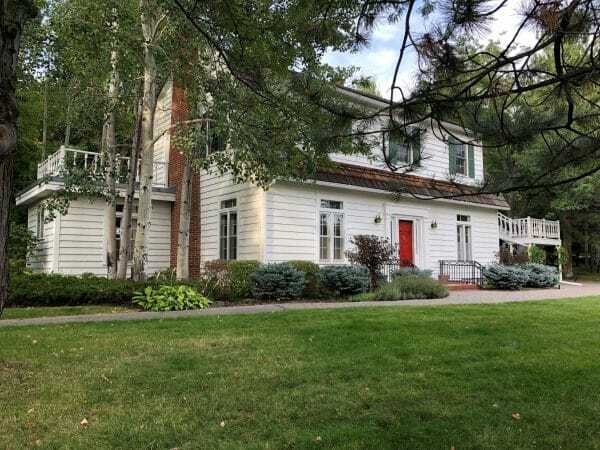 We decided to use Billings By Owner because our home was in the more expensive price range and, with realtor fees, would have been out of reach of most buyers. We could not be more pleased with this service. Not only did we sell within 6 weeks to a qualified buyer, we also had two other offers and one possible offer. We used no other advertising; the professional yard sign did it all. Thanks so much for offering this service. We had a wonderful experience with Billings By Owner.com. Their service was excellent and they provided us with great information to get our property sold fast. In fact, we listed our house on Wednesday, (insert date) and sold it just 4 days later on Sunday at our first open house! Thank you for the great website and we will definitely use it again if we sell another house! I have to confess.........I started by perusing the "largest" and "best" realestate agent in town to sell my home. They were very happy to do a market analysis and compare area prices. With this information they gave me a price that they would be willing to list it for. I was surprised by there quick decision and felt they underpriced my home in order for them to gain quick sale. With this information I decided that BILLINSBYOWNER was my next logical choice. I promptly went through there very easy listing process and listed my home for what I thought was a fare price. Within one week and one open house I had two great offers. I sold my house on BILLINGSBYOWNER for over $20,000 more than the realtor suggested! WITH NO REALTOR FEES. I have to confess.........I started by perusing the "largest" and "best" realestate agent in town to sell my home. They were very happy to do a market analysis and compare area prices. With this information they gave me a price that they would be willing to list it for. I was surprised by there quick decision and felt they underpriced my home in order for them to gain quick sale. With this information I decided that BILLINSBYOWNER was my next logical choice. I promptly went through there very easy listing process and listed my home for what I thought was a fare price. Within one week and one open house I had two great offers. I sold my house on BILLINGSBYOWNER for over $20,000 more than the realtor suggested! WITH NO REALTOR FEES. Thank you BILLINGSBYOWNER. Matt's website is very easy to use for setting up a property listing. I was amazed at the number of views we received in the first few hours our listing was posted. All inquiries to our listing were legit, and we had very few additional questions on our listing. Would I use this service again? You bet! Thanks Matt for the help in selling our home. An outstanding website. User friendly for both seller and those looking for property. No need to hesitate to sell your own home Matt provides a very professional service. In this challenging market “BillingsByOwner” is a very wise choice. Thanks so much to Matt, Sam Rankin and Billings By Owner. We were so happy with our experience and especially the service we received. Since we had limited knowledge of real estate, we had allot of questions. Matt and Sam were so helpful and spent allot of time answering all of our questions. They returned e-mails and phone calls promptly and really made this a very comfortable experience for us. Sam Rankin was amazingly helpful to us and he went above and beyond to help us out. Our house sold quickly and I would highly recommend this service to anyone who is selling a house. Thanks so much to Matt, Sam Rankin and Billings By Owner. We were so happy with our experience and especially the service we received. Since we had limited knowledge of real estate, we had allot of questions. Matt and Sam were so helpful and spent allot of time answering all of our questions. They returned e-mails and phone calls promptly and really made this a very comfortable experience for us. Sam Rankin was amazingly helpful to us and he went above and beyond to help us out. Our house sold quickly and I would highly recommend this service to anyone who is selling a house. I have to admit we were extremely skeptical of trying to sell our cabin on BillingsByOwner.com....especially considering it was technically a Columbus property. We had tried the Realtor route, flyers, craigslist, etc. and nothing panned out. The selling process in this economy is difficult so we decided to take the plunge and try the services of BillingsByOwner.com. The exposure and interest we generated from doing that was pretty incredible. Within the first few hours we received about a dozen emails inquiring about our cabin and we ended up finding a couple of buyers. The process was pretty simple and straight-forward and inexpensive. This website certainly has a following and we are very happy customers. Thanks a ton! Thank you for helping us sell our home. Selling/buying a home is a little overwhelming but Matt made the process so much easier. He answered our many questions - from staging our home to helping with the paperwork. We listed our home at billingsbyowner.com on a Saturday and had an open house the next day. We didn’t advertise anywhere except for the website and to our surprise had 5 people stop by. Monday morning we had an offer and by Tuesday we had sold our home. What a whirlwind!!! Obviously, many people are searching the web for houses for sale. It saved us a lot of money by using this service. The website is very user friendly, the signs look great and the customer service is fabulous. I have nothing but positive feedback to Matt and his team at BillingsByOwner. We saved thousands of dollars by listing on the billingsbyowner website. The profit we have earned from our recent sold property will cover our down payment and closing costs for the new home we are building. 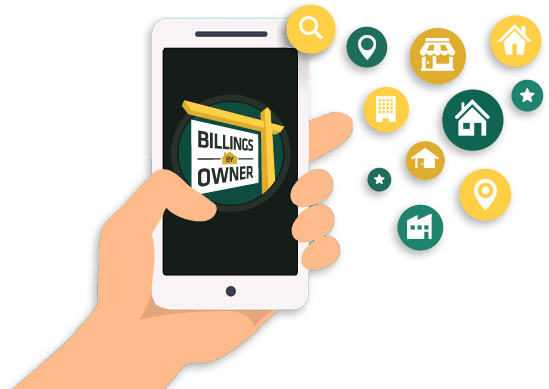 We never paid a dime for advertising because BillingsByOwner provides a lot of advertisements already throughout Billings, providing a lot of exposure to potential buyers. We accepted an offer in less than three months of listing our home. I would whole-heartedly recommend BillingsByOwner to anyone selling their home- the process could not have been easier. I highly recommend using this invaluable service. I received a full price offer 8 days after the sign went up and closed in less than 4 weeks. All in all, I saved over $12,000. A word of warning however: be ready to move! The process may take a much shorter time than you expect! As a first time seller, it seemed risky trying to sell on my own using BillingsByOwner.com. I figured that I would try it on my own first. The best advice I was given from BillingsByOwner.com when starting this process was "Selling your property is your only focus right now." They were right. I looked at other testimonials of homes that sold quickly and saw a common theme - multiple Open Houses. My property was for sale for 22 days before accepting the right offer. Within those 22 days, I had 10 Open Houses scheduled and four private showings. BillingsByOwner staff is very helpful and knowledgeable about the process. My advice would be to read and know what you're getting into before you list as there are some who will want to take advantage of your assumed lack of knowledge regarding the real estate profession. The website has great links for information that are useful and the staff can give you Montana-specific information as well. It was worth the initial investment. Best of luck to all who try it! Thank you for your service and website. The website is very user friendly and comprehensive. I used the links to print a legal buy/sell. Instead of $6,000 for a realtor I spent about $325! I was skeptical at first but they were always available to answer questions and everything is on the website. I would definitely recommend using Billingsbyowner.com. I would like to say thank you to Matt at www.billingsbyowner.com for offering this great service. My wife sold her home back in 2010 using this website and had a great experience so I decided to go the same route. We listed my home the end of May and it was sold by the end of summer. The tools provided are top notch and the website is very user friendly. I was pleased with the option to add the home to the MLS listing. It is an excellent tool at a reasonable price. We will definitely suggest your business for anyone interested in selling their home. At first when we listed our home in mid June 2012 we weren't thinking we would get many lookers without it being on MLS and having no Realtor. So we decided to give it a try for the $249.00 and at least get some advertising on the property so that it was known it was for sale. We printed out flyers weekly and they were gone by the end of the week - so we knew people were looking at the property and interested in a home purchase and the website! As we moved forward and just let the advertising on Billingsbyowner.com and the flyers on the sign at our home take toll, we were suddenly getting calls for showings! I was amazed/shocked and very thrilled that our $249.00 package that we had purchased was working to show our property. Not knowing what was going to be next, we just stuck to our $249.00 package and kept showing our home! In mid August we found a couple that was really interested and put an offer on the property to be SOLD in September 2012! The process was easy and very inexpensive. Billingsbyowner.com definately has the customer and potential customer hits on their website and helped us to sell our home with out a big fee added. We saved well over $6,000.00 for ourselves! Thank you Matt for providing this service to the Billings area! At first when we listed our home in mid June 2012 we weren't thinking we would get many lookers without it being on MLS and having no Realtor. So we decided to give it a try for the $249.00 and at least get some advertising on the property so that it was known it was for sale. We printed out flyers weekly and they were gone by the end of the week - so we knew people were looking at the property and interested in a home purchase and the website! As we moved forward and just let the advertising on Billingsbyowner.com and the flyers on the sign at our home take toll, we were suddenly getting calls for showings! I was amazed/shocked and very thrilled that our $249.00 package that we had purchased was working to show our property. Not knowing what was going to be next, we just stuck to our $249.00 package and kept showing our home! In mid August we found a couple that was really interested and put an offer on the property to be SOLD in September 2012! The process was easy and very inexpensive. Billingsbyowner.com definately has the customer and potential customer hits on their website and helped us to sell our home with out a big fee added. We saved well over $6,000.00 for ourselves! Thank you Matt for providing this service to the Billings area! When we decided to sell our house we looked at multiple ways of selling quickly and efficiently. 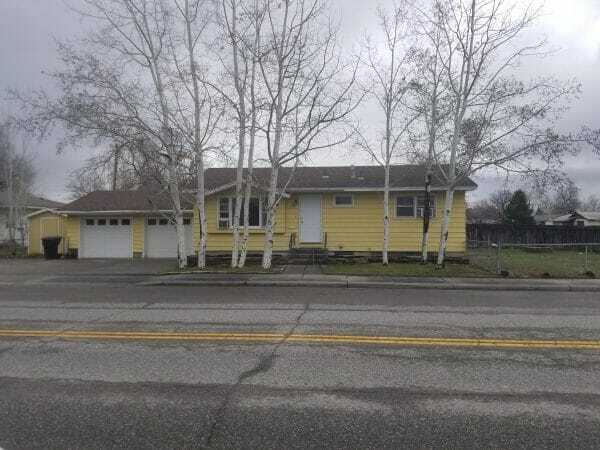 We decided to try our luck with BillingsByOwner and with the price set right, it took one open house and less than two weeks to get a solid offer. Thanks so much to BillingsByOwner. Not only was it easy to use, but saved us a lot of money! When we decided to sell our house we looked at multiple ways of selling quickly and efficiently. 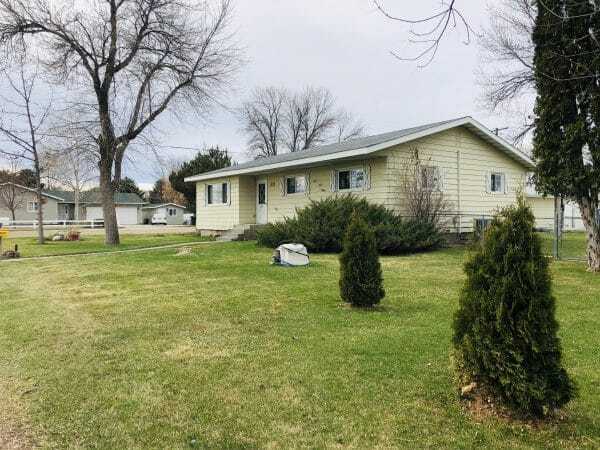 We decided to try our luck with BillingsByOwner and with the price set right, it took one open house and less than two weeks to get a solid offer. Thanks so much to BillingsByOwner. Not only was it easy to use, but saved us a lot of money! You guys are awesome! When my wife and I decided to sell our house, we considered our options of selling ourselves versus enlisting the assistance of a realtor. Matt and Billingsbyowner.com made it easy. We were able to list the house quickly, and have instant signs and brochures. We were able to discount the price of the home because of the savings on realtor commission and we sold the home in two quick weeks. My wife and I were able to relax and focus on our move. Matt is wonderful to work with. I couldn’t have gotten through the closing process without him. I had lots of questions and he answered them all very professionally and quickly. He also gave me great advice on what to do starting with the listing through closing. From the start it was very easy to list my home, upload pictures, and print my flyers on the web site. As soon as my house was listed, Matt had a sign in my front yard in a couple of days. The next time I sell my house; I will definitely use billingsbyowner.com and save myself the overpriced realtor fee. Matt is wonderful to work with. I couldn’t have gotten through the closing process without him. I had lots of questions and he answered them all very professionally and quickly. He also gave me great advice on what to do starting with the listing through closing. From the start it was very easy to list my home, upload pictures, and print my flyers on the web site. As soon as my house was listed, Matt had a sign in my front yard in a couple of days. The next time I sell my house; I will definitely use billingsbyowner.com and save myself the overpriced realtor fee. Thank you Matt! Wow! We listed our property on March 3 and closed on April 2. We signed a contract in only 6 days. The quality of the service by Billings by Owner is first rate. The signs are new and distinctive. Matt is picky about getting the sign up and in the correct spot. You also get smaller "open house" and "for sale" signs. From the website you can print out a brochure for your listing which is very handy. We just went down to the copy store and opened the site on their computer and printed out brochures on glossy paper to put in the display box. During last month there were 18-24 homes pending on the BillingsByOwner website! It would be difficult to find fault with that kind of success. Thanks BillingsByOwner for the good experience. Your attention to detail made the difference. Wow! We listed our property on March 3 and closed on April 2. We signed a contract in only 6 days. The quality of the service by Billings by Owner is first rate. The signs are new and distinctive. Matt is picky about getting the sign up and in the correct spot. You also get smaller "open house" and "for sale" signs. From the website you can print out a brochure for your listing which is very handy. We just went down to the copy store and opened the site on their computer and printed out brochures on glossy paper to put in the display box. During last month there were 18-24 homes pending on the BillingsByOwner website! It would be difficult to find fault with that kind of success. Thanks BillingsByOwner for the good experience. Your attention to detail made the difference. Billings By Owner was awesome to work with. We listed it on a Friday and we had an offer the following Tuesday. Matt does a great job of getting your information up quickly. We had 10 people come by and over 300 views on the web listing by the time we received the offer. 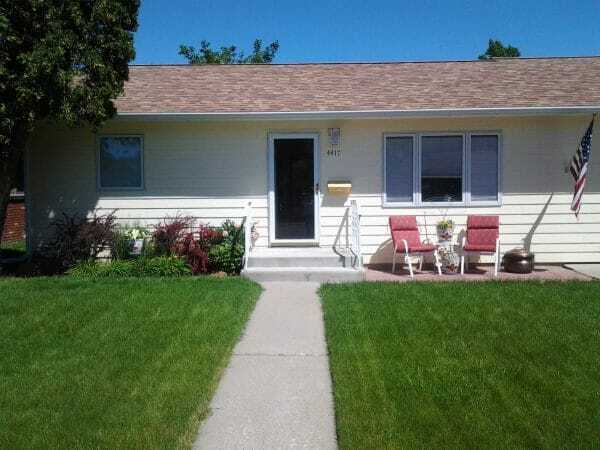 Billings By Owner is a great value, saving us realtor commissions. I highly recommend this service and will use them again if I decide to sell. Listing the home was very easy, and the service was outstanding. You were very helpful in getting us what we needed and stayed in touch with us every step of the way. We had a lot of views on the website and had very good luck. Our home sold in the first few weeks of listing and we're happy to say that we'll be moving next week. I would definitely recommend this site to anyone that is listing their home and wants to save themselves from the high realtor costs. Listing the home was very easy, and the service was outstanding. You were very helpful in getting us what we needed and stayed in touch with us every step of the way. We had a lot of views on the website and had very good luck. Our home sold in the first few weeks of listing and we're happy to say that we'll be moving next week. I would definitely recommend this site to anyone that is listing their home and wants to save themselves from the high realtor costs. Thanks again!